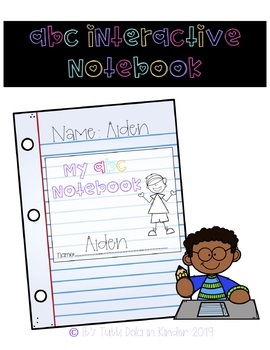 This ABC interactive notebook resource is the perfect set to start teaching kiddos about their ABC's while having fun and making a fun interactive journal come to life. ***As a bonus I have included Playdoh mats (see preview). All you need is a composition notebook, glue, markers/crayons, and scissors. 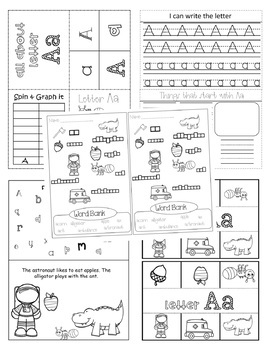 Can be used as worksheet, mini lesson, center, extra practice or as a supplement. 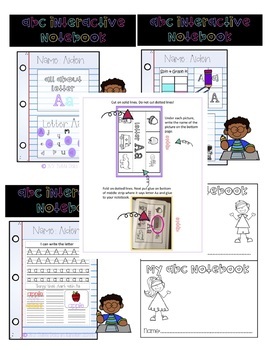 This resource has been super helpful in my classroom and it is my sincere hope that your kiddos will benefit from it as well!